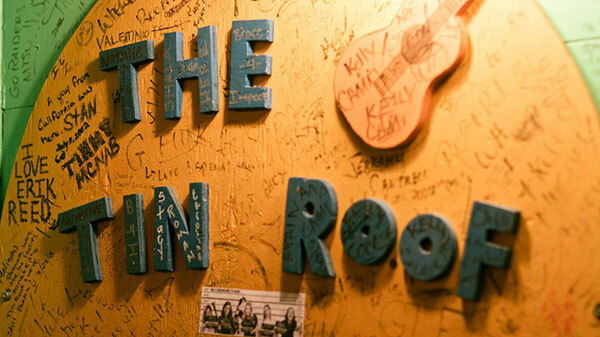 We are located on Historic Beale Street in the heart of downtown Memphis conveniently located next to Fed Ex Forum and walking distance to the Memphis Rock and Soul Museum, Autozone Park, hotels and many popular attractions. Our space totals 11,900 interior square feet plus a large patio and can accommodate up to 800 guests. We have several distinct areas within which can be sectioned off for smaller private & semi-private groups as well. Ask about our mezzanine level and our Green Room area with its large outdoor patio. We are a live music joint so entertainment can easily be provided! We have a professional stage & sound setup capable of hosting full bands & DJ’s and can help secure the right act for your event & budget. With many new LED TV’s, a 10’ projection screen and a full professional stage, sound, & lighting package, branding & execution are made simple ensuring each event is uniquely customized. We love to host large corporate events, small happy hours, birthday parties, bachelorette parties & more so give us a shout and let the Roof make your next event fun & one to remember! 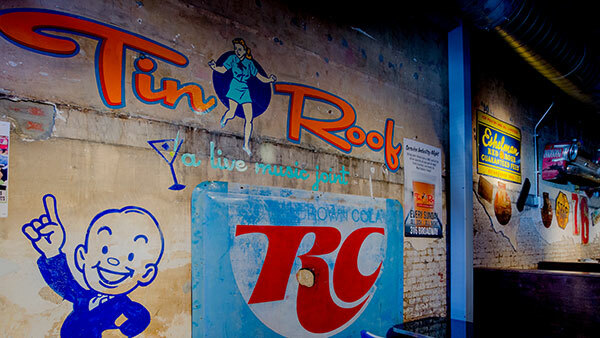 Tin Roof is the perfect place to host your corporate group! 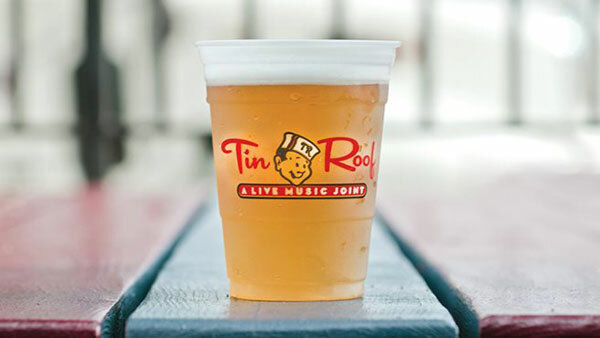 We have limitless options from a full venue buyout to a casual happy hour. 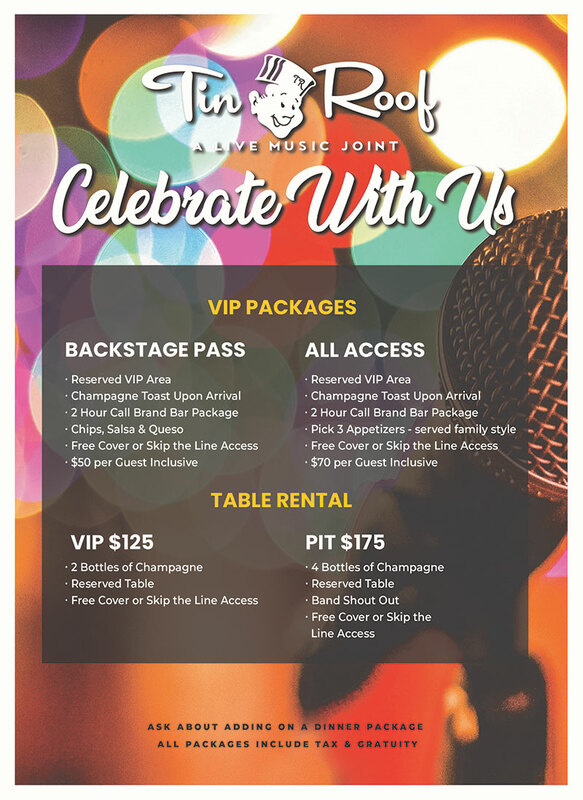 Let us create the prefect event for your company! Bring your buses! We are conveniently located on Beale Street. We have 3 separate spaces to host your group. Whether you are looking for a quick lunch or a full dinner we can accommodate you! Adults and students alike are welcome.